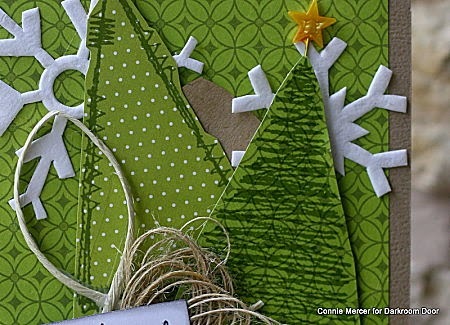 crafty goodies: Try It Tuesday~Stitched Christmas ! the name alone had me hooked!!! These are GORGEOUS!!! I loveeeeeeeeeee those trees ... the stitching, the twine ... just FABULOUS!!!!!!!!! So, so pretty, Connie! Love the bit of trim on the card. You do the best cards and projects. Love them both. 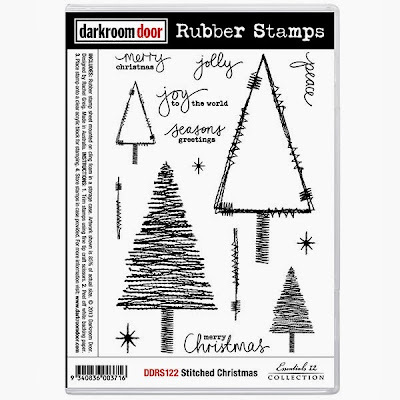 great use of these stamps. Lovely card ! Wow! So pretty! Love how you added the lace! You are just one talented lady! 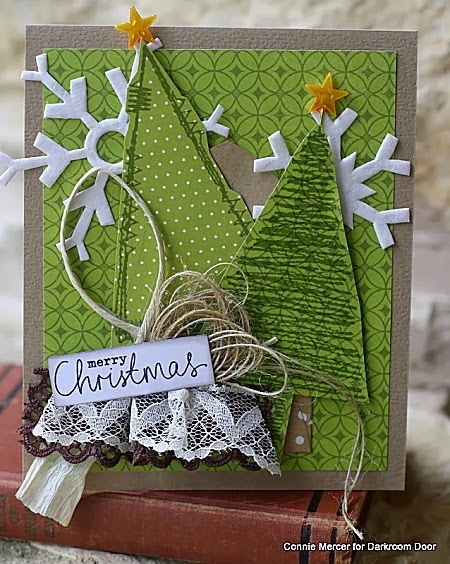 Love the sweet holiday tree card with touch of lace. So pretty! 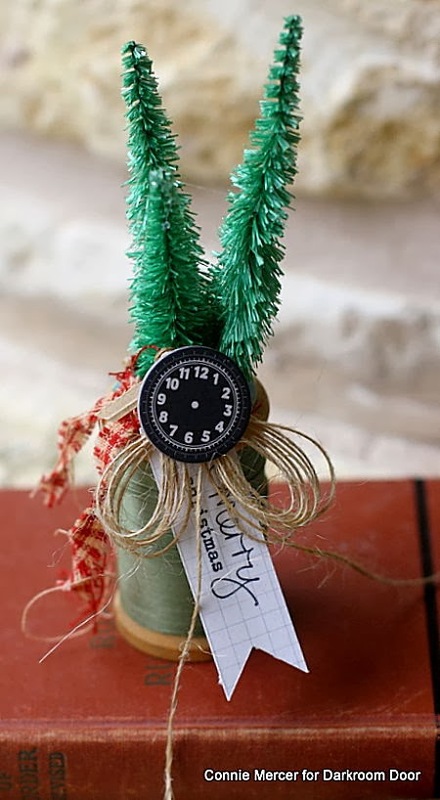 Your altered spool is so festive and fun. oh i love love love this card.. those trees are so awesome..